First off, you don't even have to RUN to love Strictly Running - they have Yoga classes, walking apparel, and all kinds of other great exercise gear. That said, it's a phenomenal running store selling only the best clothes, gear, and shoes - plus customer service and the expertise (from employees who themselves are runners) to get the exact right fit. I have shorts and jackets I bought there in the 90's and they still look like new. But Strictly Running is more than just a store. Since the 1970's, it's served as the epicenter of the Columbia running community, organizing road races, pizza runs, team events, walks and Yoga classes. It's one of those rare businesses that's more than just a business - it's a place and an organization that succeeds by making our community better. Check them out at 2515 Devine Street , Columbia SC 29205. 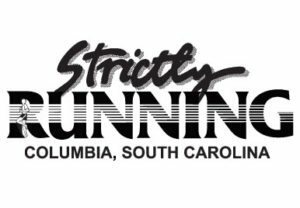 803-799-iRun(4786) and strictlyrunning.com.